At UCI’s invitation, President Barack Obama delivered the commencement address on Saturday, June 14, 2014, at Angel Stadium of Anaheim, commemorating the 50th anniversary of the campus’s dedication by President Lyndon B. Johnson. 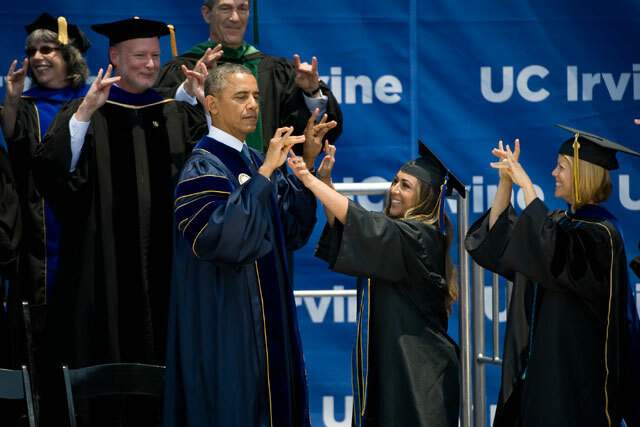 At the all-graduate ceremony, Obama gave kudos to UCI for being “ahead of the curve” in terms of climate change research and awareness. Read more here.